After 60 years, Buffoli continues giving life to customers' dreams. 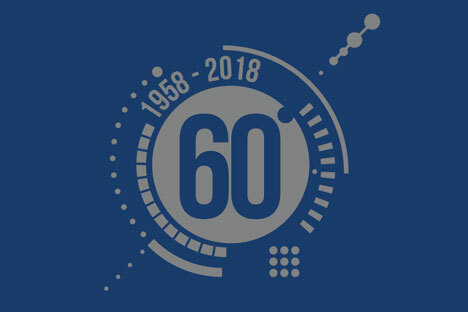 Buffoli celebrates its 60-year anniversary in 2018, commemorating years of creative ideas, innovative designs, and quality solutions. Buffoli was established in 1958, but its reputation for quality proceeds to 1952 when Mario Buffoli founded an engineering office in Brescia. Over the years, Buffoli has grown into a complete manufacturing facility for precision equipment, always using the latest technology in order to service a wide variety of industries. Engineering Office of Dr. Eng. Mario Buffoli opened in Brescia. Our history as a transfer machine manufacturer began in 1958 with the model TD, a compact linear transfer machine produced until 1972 with over 200 units installed all over the world (including Korea and Japan). (2000 parts/hour was a remarkable achievement in the 60's). In 1972 Buffoli introduced the precision rotary transfer machine, equipped with double wall frame, pressurized turrets and chucks, Hirth crowns for the turret positioning, and oleodinamic command (instead of pneumatic). The model 2D, presented at the Milan exhibition of 1972, presented a turret rotation time lower than one second, achieved through a turret rotation system actuated through sinusoidal acceleration/deceleration by means of a connecting rod-crank mechanism driven by hydraulic control. This turret, whose rotation was actuated through hydraulic-pneumatic thrust, was far more reliable than other solutions at that time. Buffoli’s rotating turrets have demonstrated the remarkable ability to maintain a cycle time lower than one second, even after working 24 hours per day for more than 20 years. In 1974 Buffoli was the first to introduce the vertical axis suspended table. In 1979 Buffoli moved to Via Stretta in Brescia where the main facility remains today. Several expansions have been completed, and a new expansion is programmed for 2019. In 1984 Buffoli introduced the first 5-direction Transfer machine. The machine was equipped with rotating fixtures and was installed at TRW to produce completely finished steering housings. In 1985 Buffoli introduced the first transfer machine with central thrust CNC-controlled ball screw spindle. This robust, patented spindle was designed for heavy or exceptionally-accurate machining. The superior rigidity of this spindle made it suitable for high-speed rotating tools, while its compactness allowed it to be easily installed on inclined slides. In the same year Buffoli introduced the first CNC multi-center machine, which began the era of flexibility. In the same year Buffoli introduced the first CNC multi-center machine, beginning the era of flexibility. In 1990 Buffoli designed and developed its own multi-processor CNC, specifically designed for the control of parallel processes. This advanced control has been installed on all Buffoli machines since 1993. Multi-processing CNC In 1993 Buffoli introduced its own multi-processing CNC. the Omni-Turn, which merges a rotary table with multiple lathes, and the Multi-Process Module. the automatic tool changer for the transfer machine is patented. the Verti-Center and the Linear-Flex spring Buffoli into the future.